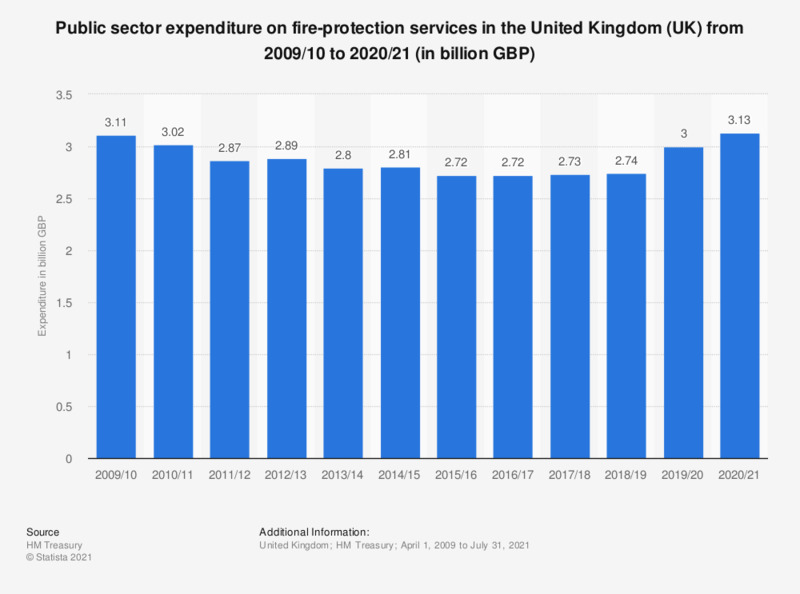 This statistic shows public sector expenditure on fire-protection services in the United Kingdom from 2011/2012 to 2017/2018. In total over this eight year period, the expenditure on fire services declined, peaking in 2011/2012 at 2.9 billion British pounds. In 2017/18, the expenditure on fire services totaled 2.8 billion British pounds.